1 Steam potatoes, sprinkling them with salt halfway through cooking, or cook in gently boiling lightly salted water until barely tender. Drain. When potatoes are cool enough to handle, peel and slice thickly. 2 For the dressing, whisk the mayonnaise and mustard together, then slowly whisk in the oil and salt, then the vinegar. 3 Layer up the potatoes with gherkins, capers, most of the herbs and spring onions if using, sprinkling with salt and pepper as you go. 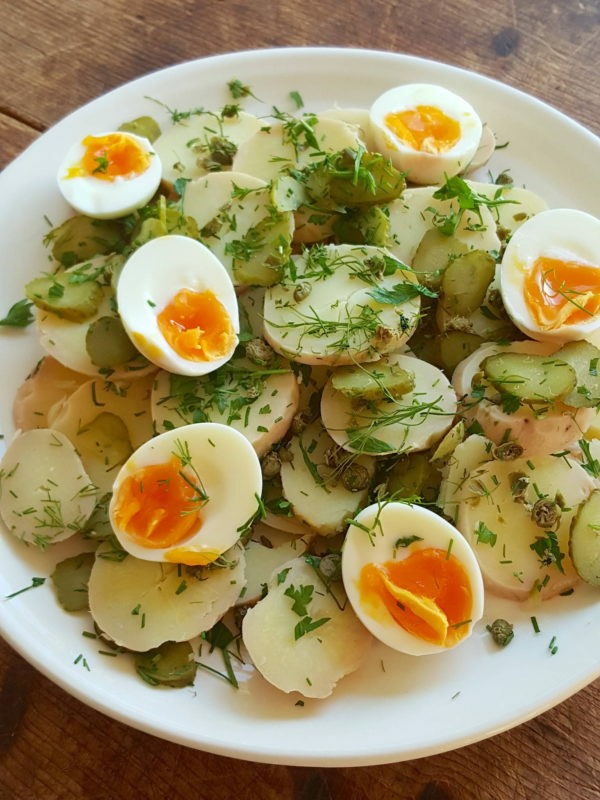 4 Shell the eggs, cut in half and arrange on the salad. Sprinkle with herbs. Rewhisk dressing and spoon over salad. Serve immediately, or refrigerate for up to 2 days. 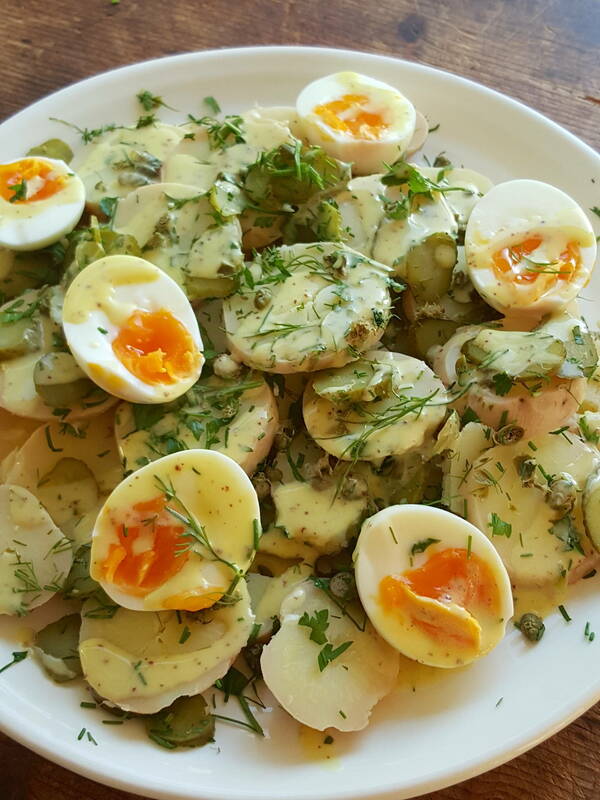 A lot of people love spring onions in a potato salad. I find they dominate the flavour, but over to you whether you include them or not. 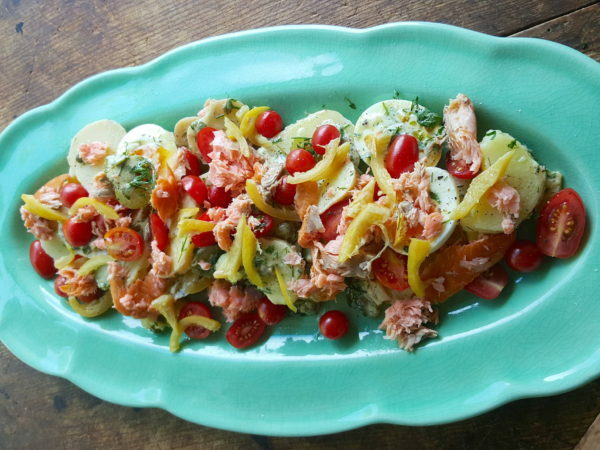 This salad is great as it is, but you can add extras such as chopped ham, chopped roasted chicken, boiled or roasted baby beetroot, flaked hot-smoked salmon.